Grizzlies and Kodiaks are the most widely distributed bear in the world, with large populations still intact in Alaska, Canada and Russia. The huge grizzly moves with a slow, clumsy walk, swinging its head back and forth, but it can move as fast as a horse when necessary. Cubs can climb, but they lose this ability during their first year. 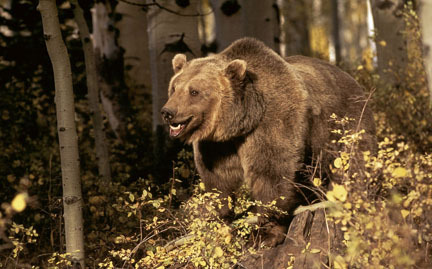 Habitat loss poses a risk to grizzly bear populations.